Sorry for the crummy photos today but I’m feeling under the weather along with my kids so I opted to do this fit review with pyjamas on my bottom half and get it to you quick vs. waiting a few days. I am really liking this jacket mostly because it is almost fully lined in sherpa fleece. 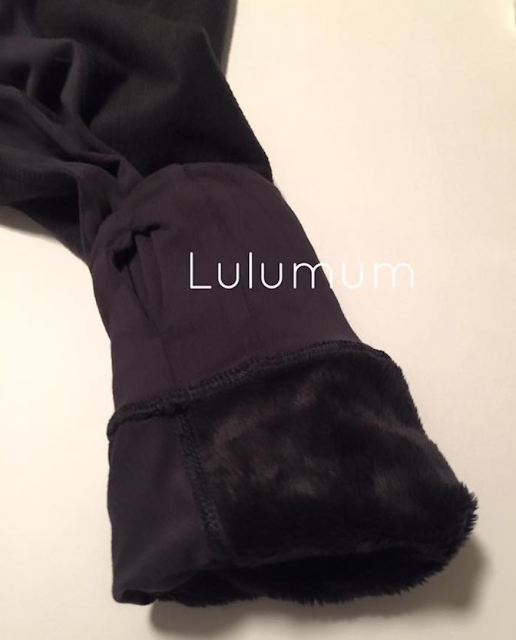 The only part of the inside of the jacket that does not have sherpa is the RULU panel in the back, and the inside of the pocket, and at the cuffs. It’s a form fitting but not tight TTS which is nice because it keeps it from looking boxy. 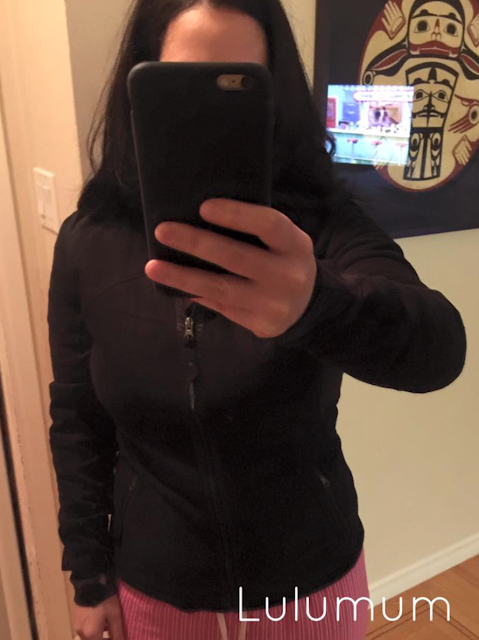 I’m happy with the length of it since a lot of the lulu fitted jackets lately have been short in the torso. I don’t have the Don’t Hurry Be Happy Pullover to compare this to but I believe this is lighter/thinner and the DHBH may be a double layer of fleece. I much prefer this one since I’m more in need of the cozy factor than I am the insulating factor. Although I love Sherpa, the DHBH pullover was always way too hot and cumbersome for my liking with its funnel neck and pullover style. This zip up jacket works way better for my needs. I like this a lot as a layering piece under a down jacket, or on it’s own as a warmish light jacket on a dry day. Inside of the jacket, you can see the pockets and the RULU panels. Sleeve rolled up so you can see even the inside of the sleeves are lined in sherpa. 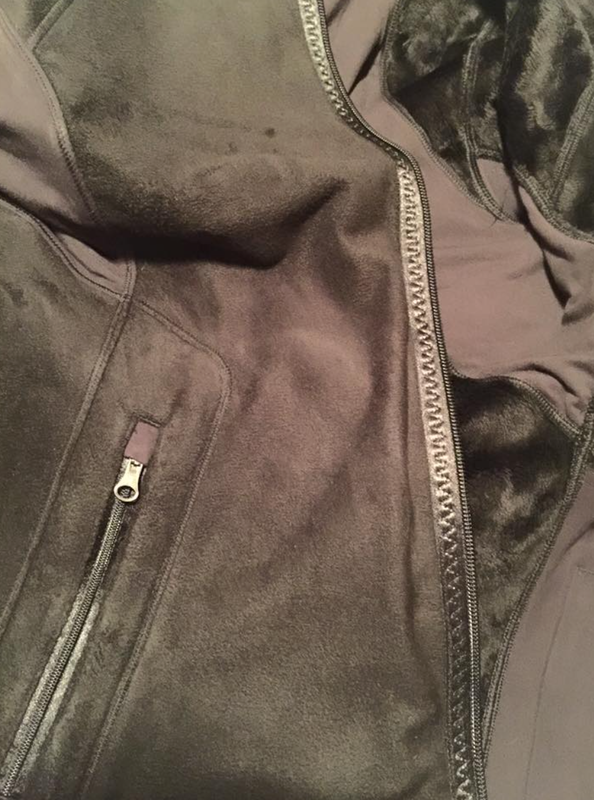 Outside of jacket with zipper detailing. This looks comfy. For sure looking for this in my store this weekend! Is WMTM just not updated every week during the holidays? It seems like some Black Friday items are still up, but the usual amount of WMTM uploads haven't been happening? @10:03 they're probably hoarding WMTM for Boxing Day. If you are in Toronto: I checked Eaton Centre and Cumberland stores and they do not have the new teal CRB. Cumberland still has the black sapphire swiftly in sizes 2 (several) and 12 (one). They had the blue snake FTBW in size 8 and 12 for $29. They had the other spotty black blue version for $29 as well as the CRb in that pattern also $29. They had the FTBW in the grey w/ black spots and orange straps for $39 (sorry did not check sizes on that one). The fleece vinyasa in flashback static powdered rose tender violet with tender violet back I thought was really nice. 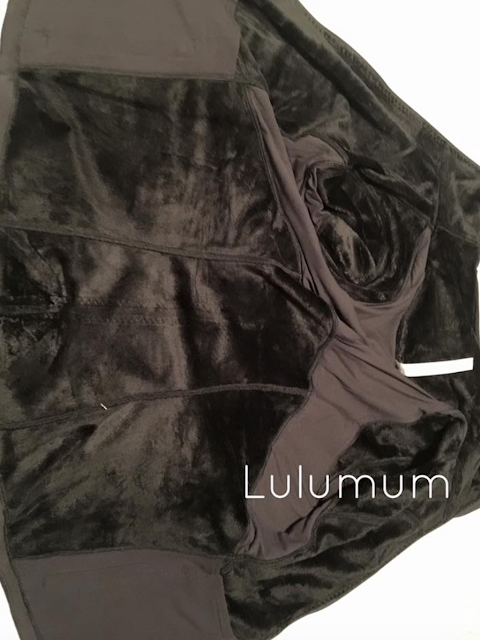 It was not super thick like other fleece ones from last year but more solid/ firm material. I didn't try it on though. Hi LLM, did you end up keeping this jacket? Do you reach for it often, or not so much? Debating whether or not to buy one myself. I didn't, I returned it. Although I did like it, I decided I wanted to get a north face Sherpa jacket since you can find them on sale for $60. I haven't gotten around to getting that yet but will next winter. I'd definitely reconsider this Snowballer if it goes on markdown.